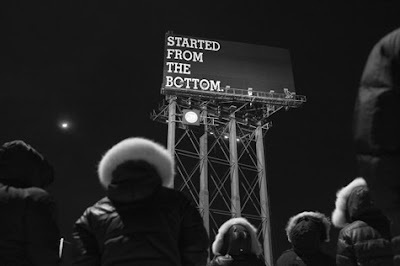 'Started From The Bottom' is the first single released off Drake's third studio album, which the album title is still yet to be announced. Drake has been a bit lowkey with releasing music since 'HYFR' (Hell Yeah F*cking Right) featuring Lil Wayne in 2012. Drake has featured on a number of different songs from different artists, his new album has no name or release date but is a follow up from his 2011 album 'Take Care'. Personally, for me - the verses on this song are weak and I expect better from Drake.